Hackney outpost of Brighton's Laine Brewing Co, this brewpub is brewing some pretty decent beers of its own. 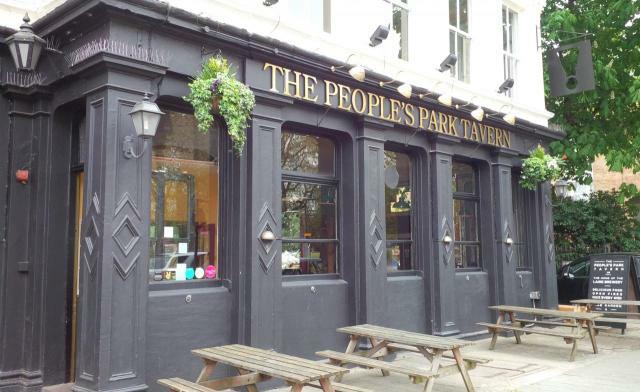 The keg and bottled beers provide little of interest, but come for the handpumps, which on our visit offered 6 of their own 'People's Pints' beers and 2 ciders. Food also very impressive on our first visit. Right by a gate into the excellent Victoria Park. Feb '19 update: the freehold has now been acquired by Young's, but Laine's remain the free-of-tie leaseholder, so no changes are expected.